Anyway, my bad because this is an excellent cookbook for people who lack time and just want to chuck a load of stuff together in a pan or on a plate. Tasty, easy stuff like tomato, parsley and chilli salad and interesting “twist on a classic” stuff like cheese and leeks on toast. Lots of the recipes are barely recipes and tend to state the complete obvious, but sometimes I feel as though I need that kind of hand-holding, especially when I’m knackered and have lots of basic ingredients but no energy to think of an inventive way of putting them together. On Sunday I was roasting some chickens for Sunday lunch but wanted to serve a few quick-to-prepare salads on the side, along with potatoes and my cousin’s homemade bread. I did the tomato, chilli and parsley one, the beetroot with ricotta and walnut (substituting ricotta for soft goat’s cheese because that’s what I had) and also the blue cheese, spinach and mushroom, which was an absolute delight and had the tastiest dressing! It was quite the success – I shall be diving into this book again. 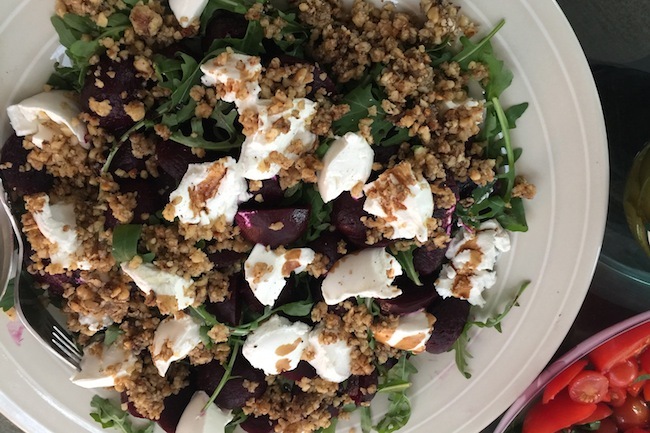 The only thing I will say is that a lot of the recipes rely on having the best possible ingredients – though all dishes benefit from gorgeous produce, it’s even more important when you’re only using a couple of different flavours. Get the best cheese, the freshest veg and the most quality meat you can afford. 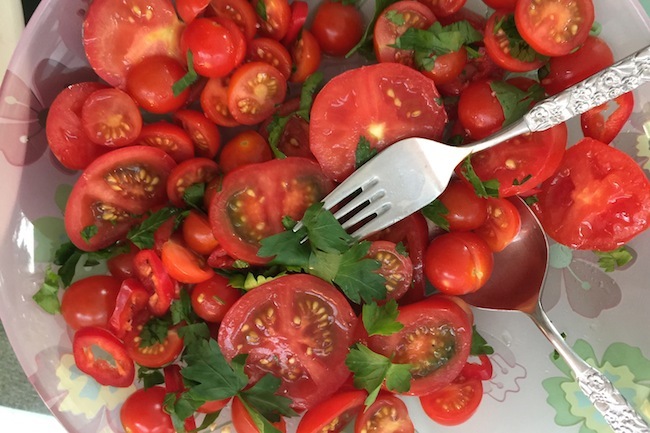 My tomato salad would have benefitted from slightly more tasty toms! 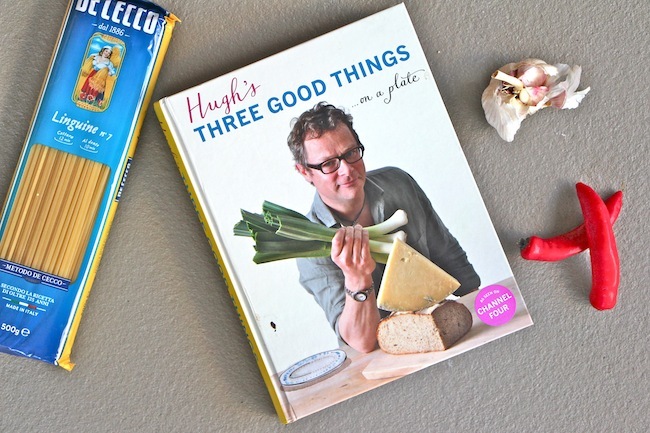 Hugh’s Three Good Things is available on Amazon here.